Cold Brook is the story of two ordinary guys in a small town who embark on an extraordinary adventure. It's a story about coming home; something everyone, everywhere has an innate desire to do. 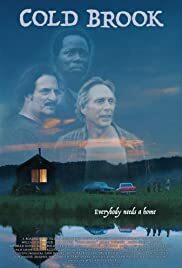 William Fichtner did a great job of acting but the remainder of the cast were mediocre. The story and comedy is weak and a little silly, similar theme to other movies like Night at the Museum. The Two museum Police officers were depicted as absolutely stupid to try to get cheap laughs but the comedy was more embarrassing than funny. Saw this at a Florida film festival and was one of the worst shown.